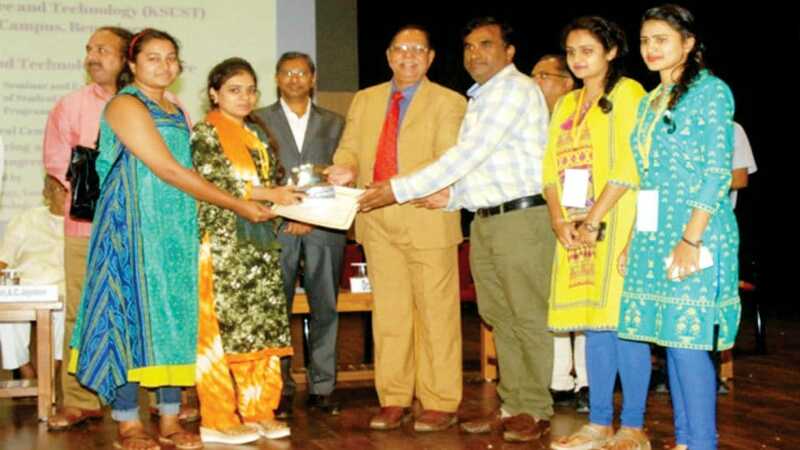 Mysuru: The project titled ‘Implementing intelligent traffic control system for congestion control, Ambulance clearance and stolen vehicle detection,’ submitted by the students of the Department of Information Science and Engineering, Vidyavardhaka College of Engineering, has bagged Best Project Award of State-level KSCST Competition for the Academic Year 2017-18. The award-winning students — D. Kavyashree, H.D. Nischitha, S. Swetharani and Gul Afshan — worked under Project Guide M.V. Prashanth. Abstract: This project presents an intelligent traffc control system to pass emergency vehicles smoothly. Each individual vehicle is equipped with special Radio Frequency Identifcation (RFID) tag (placed at a strategic location), which makes it impossible to remove or destroy. If the RFID-tag-read belongs to the stolen vehicle, then a message is sent using GSM SIM300 to the Police Control Room. In addition, when an ambulance is approaching the junction, it will communicate to the traffic controller in the junction to turn ON the green light.